Our Experienced Team Can Help You With All Of Your Roof Insurance Needs. When you are looking for roof damage insurance claim assistance in Texas, Louisiana, and Mississippi, TX, contact our roofing contractors today! As a homeowner or commercial building owner, filing a roof damage insurance claim through a insurance provider can be really stressful. Insurance companies do their best to ensure the insurance claims submitting process is a smooth one, but filling out the claim and determining what destruction is the worst can be very overwhelming for clients. Over time, destructions caused by hailstones or wind are able to become worse, but a lot of people leave it be because the submission process is overwhelming. Never allow roof damages get in the way of you filing a roof insurance claim, because at ECO Commercial Roofing we are here to help all customers with our roof damage insurance claims support service. Each of our customers who use our roof damage insurance claims assistance service is able to get a roof inspection, that will assess what type of destruction your roof has. After our roofing contractors have assessed your roofing system for damage and completed a entire roofing inspection, we can go through roofing options with clients. In addition to providing roof examinations to our customers, we even advise them on the roof damage insurance claims filing and whether there is enough damage to file. In the insurance claims process, insurance companies will need the proper paperwork, so you can add our damage papers to your other documentation. If you need repairs or replacements for your roof, our professional roofing contractors are here to get your roof back in excellent shape. To schedule an appointment for a roof examination or roof damage insurance claims service, call us today at (833) 200-0571! Having A Qualified Roofer Present Is A Great Way To Make Sure You Get Your full Insurance Settlement. 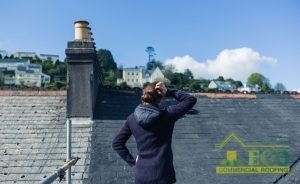 Having a roof inspection done by a roofing company prior to you file roof damage insurance claims can be very helpful while navigating the claims process. First contact with an insurance adjuster will be setting a date for the adjuster’s inspection. Damage will be assessed and documented by the adjuster to uncover the repairs and coverage offered for roof damage insurance claims. The report from your roofing contractor will assist you when dealing with the adjuster, offering documentation for filing and allowing you to know of all present damage so you can work with the insurance company. 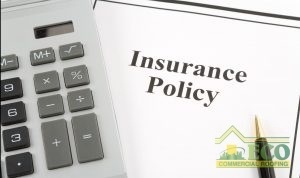 Your filing documentation for the insurance adjuster should include the roofing system inspection summary and the contact information the roofing company. For additional discernible evidence, include before and after damage photographs of your roof for assessment. Information from the appraisal and the paperwork is then compiled by your adjustor, who creates a damage report that is sent to you. This damage report will also come with a first check to assist you in getting your repairs started, followed by a second once they receive an invoice from the roofing company after they complete your roofing system. At ECO Commercial Roofing, our team of certified, expert roofing contractors are always ready to aid you through the process of roof damage insurance claims. We will help you through every step of the process, from primary inspection to roof repair or replacement. Your needs and satisfaction are our first priority, and as such we take time to ensure you are fully briefed on the roofing process and your needs are met. Call (833) 200-0571 for ECO Commercial Roofing to begin on your roof damage insurance claims in Texas, Louisiana, and Mississippi, today.